At a recent event*, I stumbled on a fascinating story of Peace Boat started by Nobel Peace Prize Nominee Yoshioka Tatsuya. Yoshioka started on his passion project back in 1983, with a simple notion of wanting to travel the world to meet and build friendships with people in the neighbouring regions. Today, Peace Boat has transformed into Japan’s largest cruising organisation, impacting up to 600,000 participants through their tours. In December, Peace Boat’s 93rd Global Voyage will set sail, charting 22 destinations in the Southern hemisphere, including that of Singapore. Yoshioka did not start off with the notion of building a cruise enterprise. He began with a desire to bring cultures together. 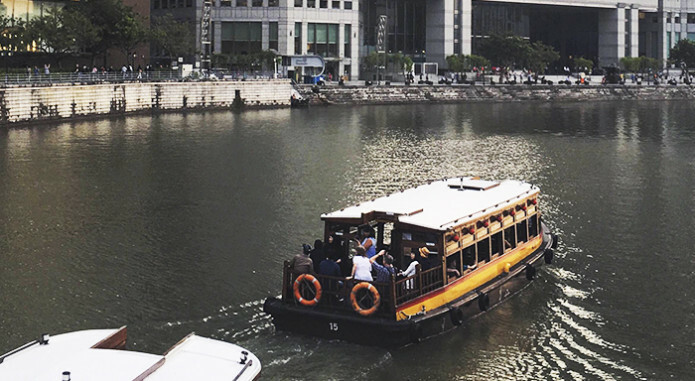 Carrying that heart and aspiration to catalyse cross-culture appreciation and bonding, Peace Boat is able to generate countless ideas that can be used to design learning experiences. Cruise spaces are transformed into platforms for participants to play, learn, build and celebrate together; on and off deck activities at the ports are created to allow for deeper understanding of social and cultural differences. The activities presented by Peace Boat often bring inspiration and excitement that draws the participants into a deeper conversation for the issues at hand. Something as simple as cruise performances are reframed into exciting cultural showcases, bringing novelty that arouses interest and inquiry. Their latest projects? To reinvent University education on deck and build a new Ecoship that will game change the way we think about cruises – radical design, solar panelled sails and a ecogarden inspired by Singapore’s very own domes. A committed staff team is what Yoshioka credits to be the key to Peace Boat’s success. Looking for “cheerful people who thrive on working in a group and can build on each other’s energy to come up with new ideas” provides the organisation with the stamina for change and invention. This team of staff are also the crew that embodies the Global Voyages experience – of energy, optimism and cooperation – and that gets consistently passed on to the batches of participants. In many ways I find that Peace Boat’s journey is no different from that of our organisation. By focusing on outcomes, integrating inspiration and building culture, I believe that organisations will experience a surge of renewed energy towards achieving future aspirations. The Fourth Industrial Revolution – For all or for some? Design Thinking Labs – Europe’s Millennials’ Alternative Workspace?